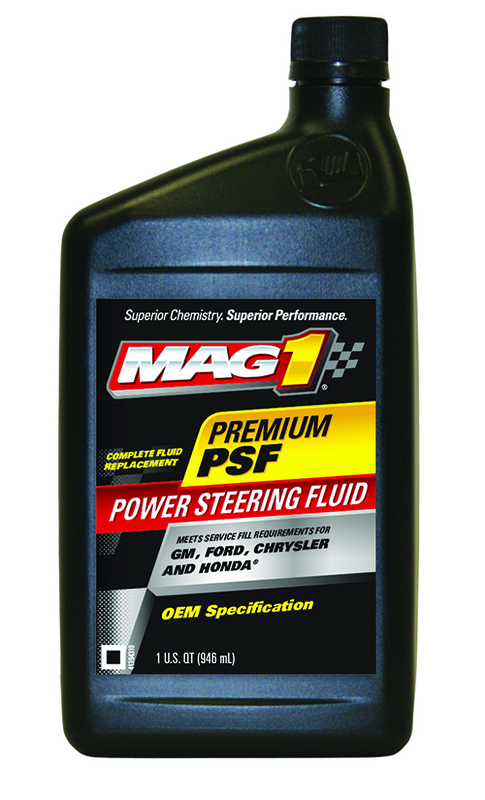 MAG 1 OEM Premium Power Steering Fluid. 32 oz. Specially formulated to meet or exceed GM 9985010, Ford M2C195-A, Chrysler MS-5931 and Honda OEM specifications and virtually all domestic and foreign manufactures' power steering systems. Recommended for complete fluid refill or top up.Provides the Following Benefits: Helps prevent wear and corrosion Quiets annoying squeals and squeaks Smooths and eases steering operation Helps prevent slippage.